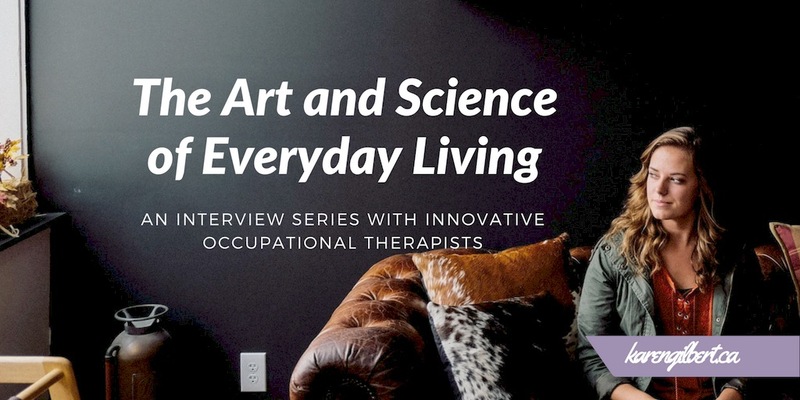 The Art and Science of Everyday Living is an interview series with innovative occupational therapists. We are shining a spotlight on OT and how you can benefit. Our next occupational therapists support people to bounce back and overcome difficult situations that occur in the workplace. If you have an invisible health condition and are struggling with workplace mental health, you may find pieces of your own story reflected in the words of the occupational therapists interviewed in this series. You may even find a tip or two to help you live your life with more ease, joy and meaning and foster a renewed sense of hope. As always, please speak with your own health care provider for individualized advice before applying any new strategy. If you need further support and the OT profiled lives in your area, feel free to reach out for more information. Laura Kalef and Lydia Beck are Occupational Therapists passionate about improving mental health in the workplace. 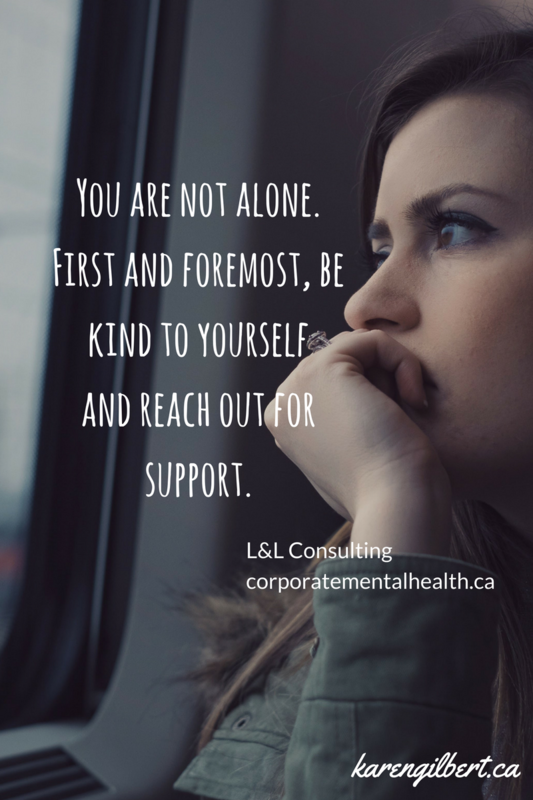 The vision of their company L&L Consulting is for employees to experience purpose and pleasure at work and workplaces to understand, accept and embrace mental health. Their services include workplace mental health assessments, policy development, educational sessions, and anti-stigma campaigns. They have provided consultation services for Toronto-based law firms, accounting firms, recruitment firms, hospitals, and insurance companies. L&L Consulting believes the health and wellness of employees and the work environment are affected by a variety of interacting factors. Workplace productivity and engagement are influenced by the workplace culture, perceived levels of support, the physical work space, and individual physical and mental health. 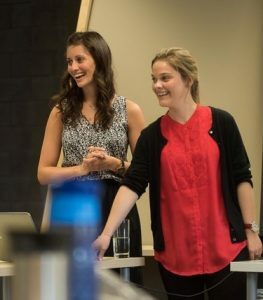 Laura and Lydia are also a part of a small group of OT innovators in Toronto who put on the @ThisOTCan initiative on social media during National Occupational Therapy Month in 2016, which is also how I was introduced to their work. I am excited to have them share more about this topic that impacts so many individuals with invisible health conditions. Over to you, Laura and Lydia! How do you describe your role as an OT to the people/clients that you work with? We describe occupational therapists as healthcare professionals who focus on enabling engagement in daily activities, and promoting both physical and mental health. Working in corporate environments, we are sometimes confused with occupational health and safety, so we make a point to distinguish ourselves. 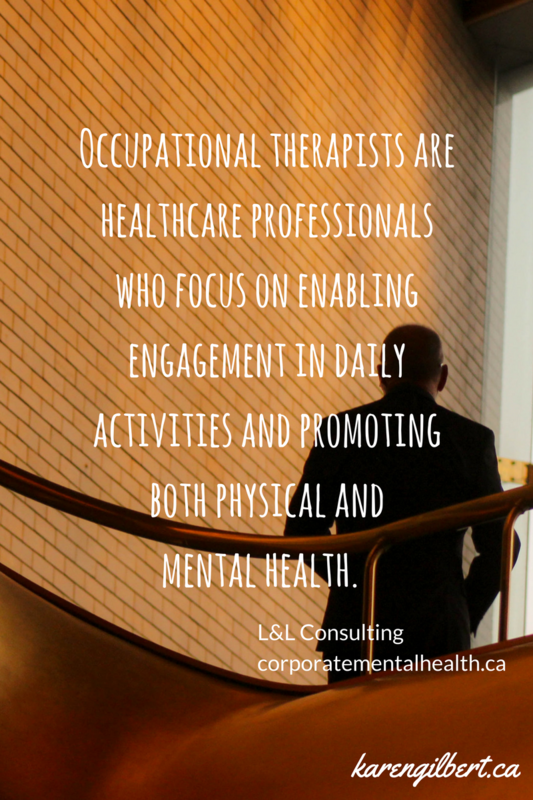 We focus on the holistic approaches occupational therapists use when working with clients, and emphasize how we can work with workplaces or individuals to increase engagement and productivity at work. We also emphasize that occupations don’t just mean “work” but all meaningful daily activities. How do you support the organizations you work with? 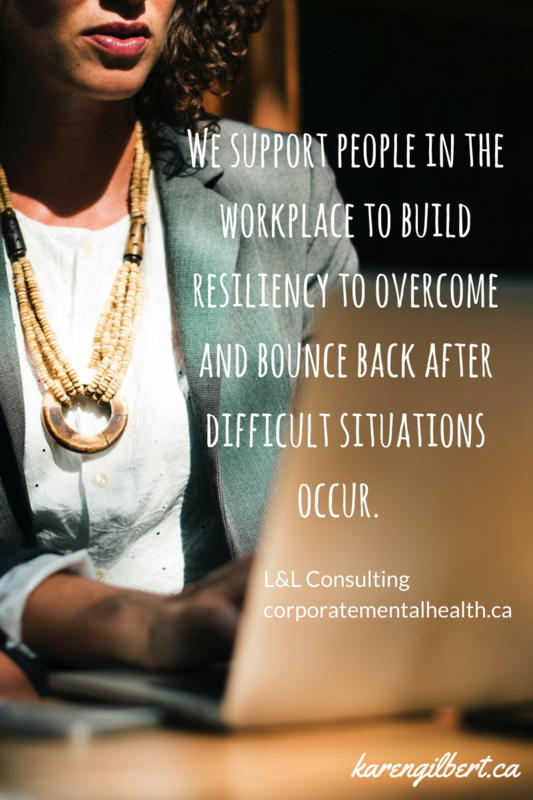 We support people in the workplace to build resiliency to overcome and bounce back after difficult situations occur. Some of our educational sessions focus on mental health, mental illness, understanding signs and symptoms, overcoming stigma, where to go for support, how to help yourself and your colleagues. Favourite or most recommended online resources, books or apps? There are a lot of great resources out there. For companies we often refer them to the guarding minds resources that compliment the new standard for psychological health and safety in the workplace. For individuals we recommend a lot of meditation/mindfulness apps such as: stop, breathe & think, the insight timer, the daily yoga app, buddhify, and the daily gratitude journaling app. 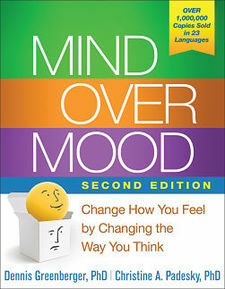 A book we use often with clients and recommend for self-study is Mind over Mood by Greenberg & Padesky. What do clients most often express appreciation for about your perspective as an OT? The PEO (person-occupation- environment) model resonates well with organizations we work with. Clients have expressed that it has helped to understand and narrow down the broad, holistic lens of Occupational Therapy and identify areas for intervention. Additionally, clients seem to appreciate the openness, understanding and compassion that we bring to our work and often express that this is lacking in workplace environments. What area of emerging research are you most excited about currently? How do you think it will shape your OT practice and the lives of the people you work with in the years to come? The Mental Health Commission of Canada has created the Standard for Psychological Health and Safety in the Workplace, which workplaces all over the country are voluntarily starting to implement. These standards provide structure for addressing mental health in the workplace, and are working as a tool for opening the conversation and discussing the topic of mental health at work. 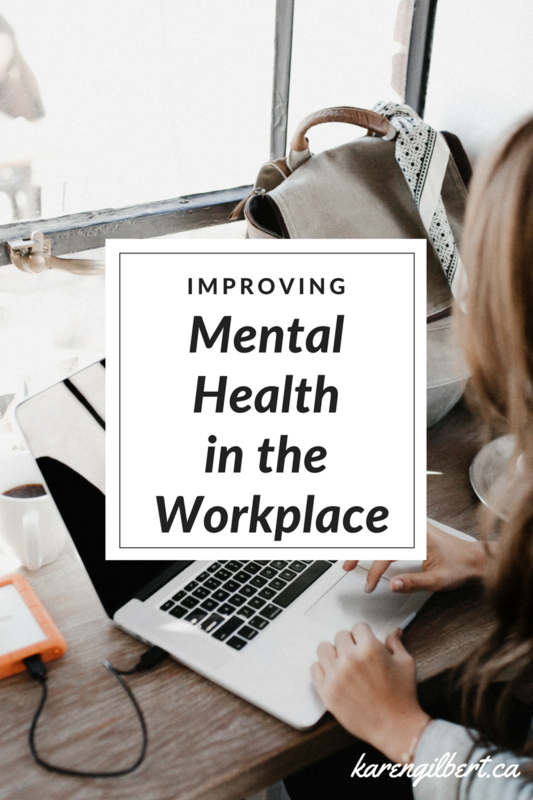 The Standard outlines various strategies workplaces can implement to improve mental health at work for employees and is a really valuable, exciting tool. It is not currently mandatory for workplaces to use this Standard, but hopefully it will be soon and we can enable companies to adopt it. How has being an occupational therapist influenced how you live your life? Our work as OTs has helped us feel more appreciative of our current functional abilities and the abilities we have to do the things we love! We both feel that our OT work has helped us become more mindful, as this is a tool we share with many clients and we both feel that it is important to practice what we preach. We are both strong advocates for self-care and maintaining good work life balance, and ensure we incorporate meaningful, relaxing and nourishing activities every day. Three sensory experiences that bring you a sense of calm? Words of wisdom or encouragement for anyone reading this who is struggling with a health condition or a life transition? We all go through various changes and challenges in our lives, you are not alone. First and foremost, be kind to yourself and reach out for support. It is through challenges in life that we can build resiliency and grow as individuals. Call a friend, learn a new skill, spend time in nature, or try out an old childhood hobby. Take it one day at a time and always take time to enjoy the people you love and the activities that provide you with purpose and meaning. Laura Kalef is an innovative, warmhearted, and dynamic occupational therapist, passionate about creating systemic change around mental health. Laura obtained a Bachelor of Science degree with Honours in Kinesiology from McGill University and a Masters of Science in Occupational Therapy from the University of Toronto. Laura has conducted research on disability and equity in the workplace, as well as employer’s perspectives on the new Canadian National Standard for Psychological Health and Safety in the Workplace. To take care of her own mental health, Laura coaches swimming, practices yoga and enjoys relaxing with a cup of tea. Lydia Beck is a highly motivated, enthusiastic occupational therapist, who focuses on working with others so they can live purposeful, meaningful lives. Lydia completed her undergraduate degree at Queen’s University, where she obtained a Bachelor’s of Arts (Honours) in Psychology and Drama. She completed her Masters of Science in Occupational Therapy at the University of Toronto. Lydia has diverse professional and volunteer experiences working with individuals of all ages with physical and mental health challenges. In her spare time, Lydia sings in a choir, practices yoga, volunteers for Camp Oochigeas, and cooks delicious meals.